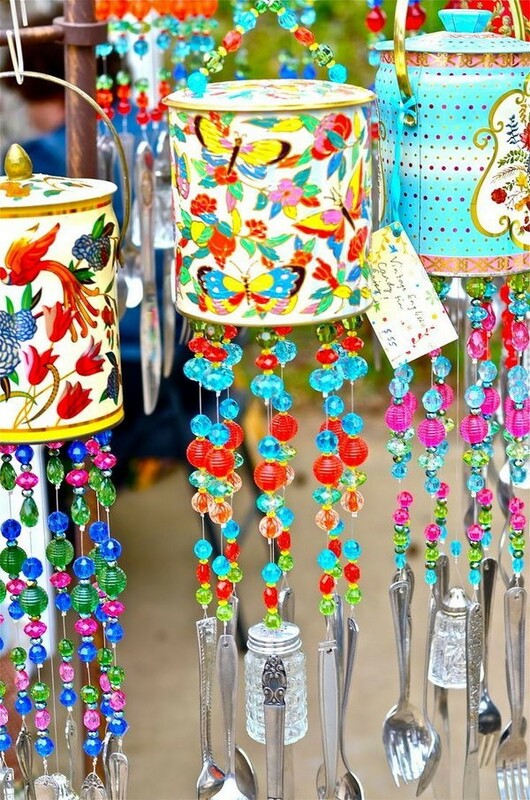 Liven up your garden at night with these quaint lanterns. 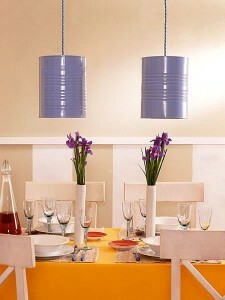 These lanterns are also a super cheap way to add a special touch for a special event or party. 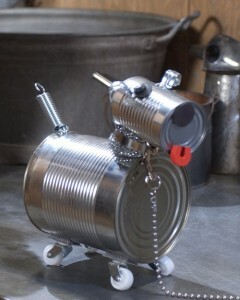 What’s not to love about this tin dog? 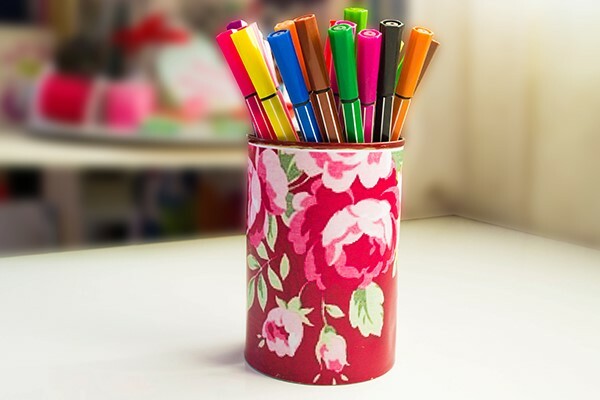 Give it to someone as a quirky gift that costs almost nothing. 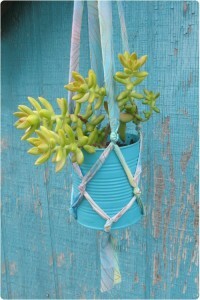 These planters are a creative and modern twist on the traditional macrame plant hangers that your mom has on her porch. 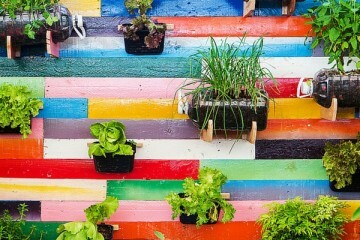 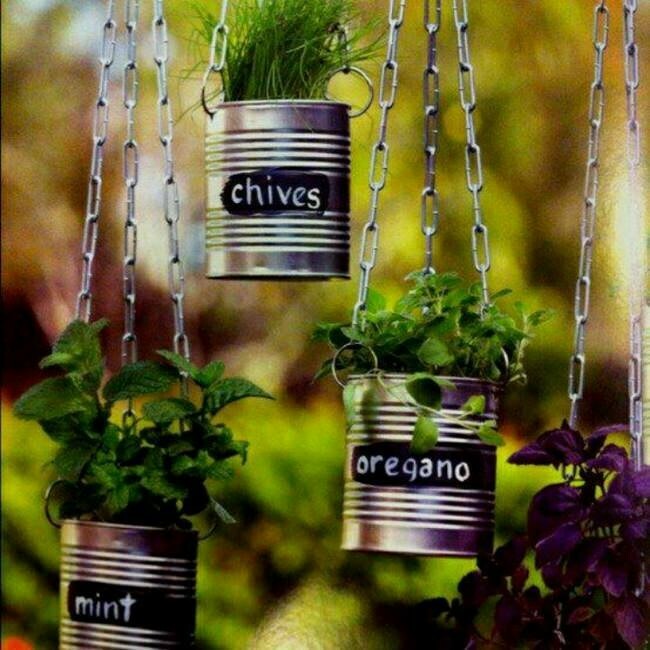 You can even create a hanging herb garden. 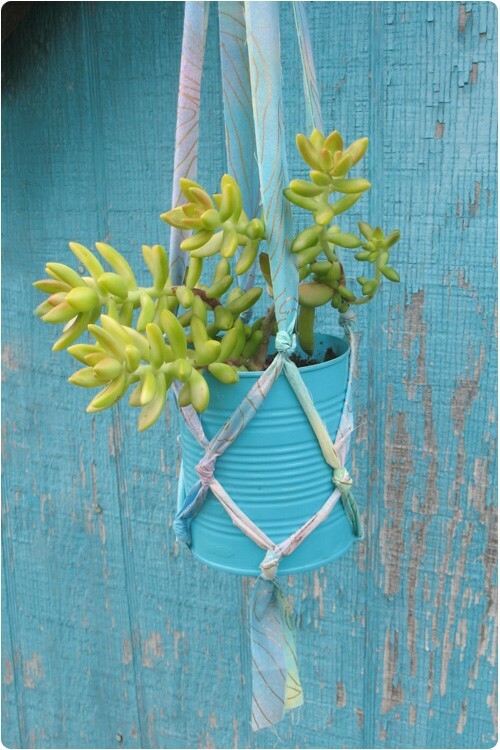 These planters are a bit more traditional – a mishmash of your mom’s macrame plant hangers and the ones above. 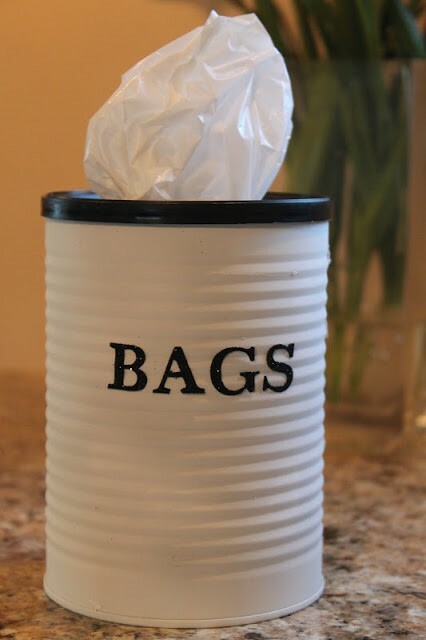 And they require minimal effort to make. 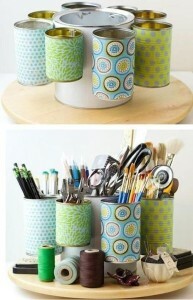 Who would’ve thought old coffee cans could organise your book case this well? 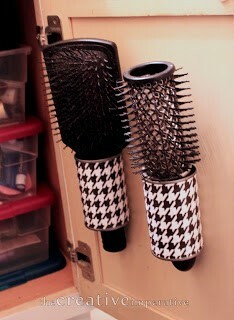 Keep your hairbrushes easily accessible with cans. Decorate them to suit the style of your bedroom, remove the bottom, and you’re good to go. Who wants to buy a pen holder that costs more than the pens in it? 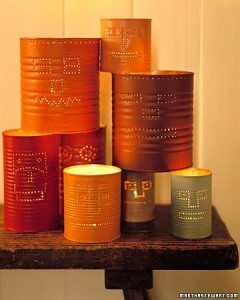 Decorate one exactly the way you like it and listen to your hipster friends go “ooh” and “ah”. 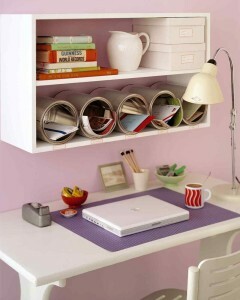 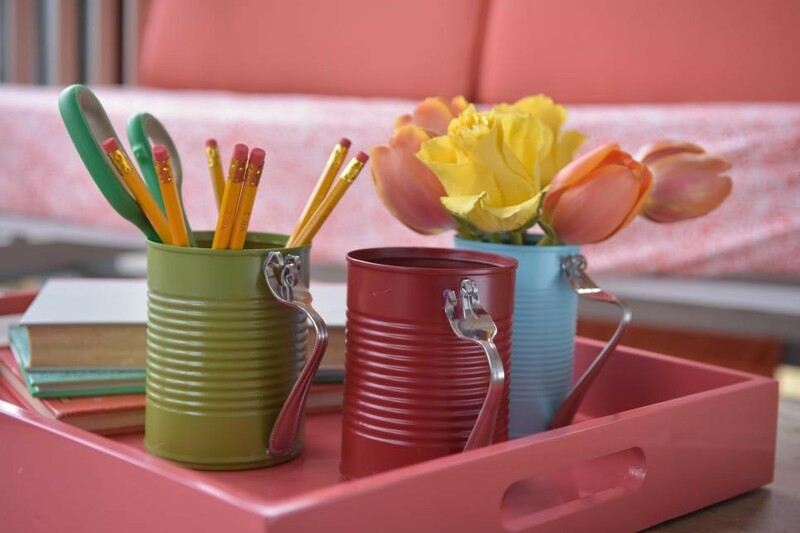 Recycled cans make an interesting and practical craft organiser. Well, this looks like it just stepped out of the catalogue of an expensive furniture store – but you can make it with your own two hands. 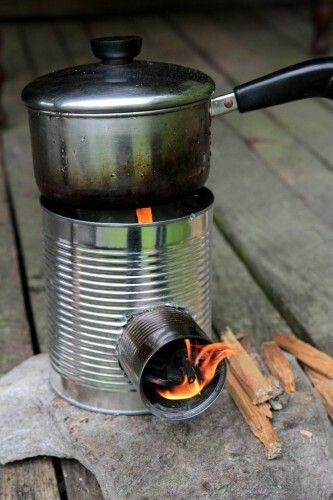 Nobody will even know that these are tin cans, and they make beautiful table decorations. 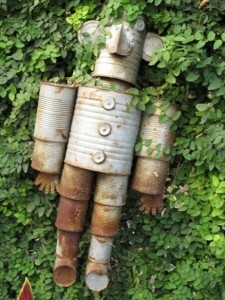 Everyone visiting you will admire this retro-chic tinman, and ask you to make one for them. 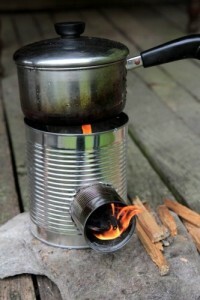 For the more practical among us, this portable stove will be indispensable on your next camping trip – and it won’t set you back nearly as much as the store-bought version. Declutter your plastic bag drawer with and make recycling look good, too. 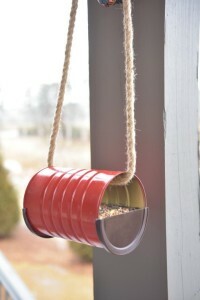 You’ll have birds swarming your garden with this crafty bird feeder. Combine old cutlery and used cans to make these unique holders to store just about anything. 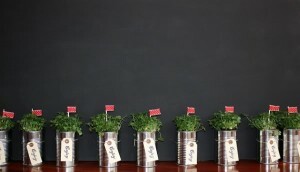 Cultivate an indoor herb garden in tin cans. 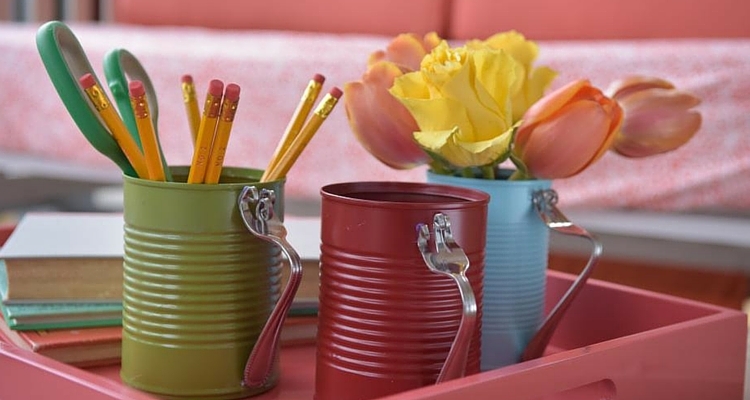 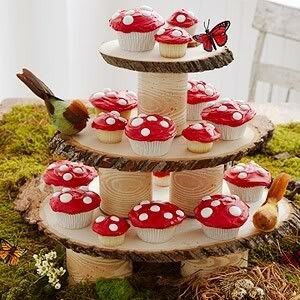 Cake stands are expensive and aren’t used all that often – so why not make your own with cans? 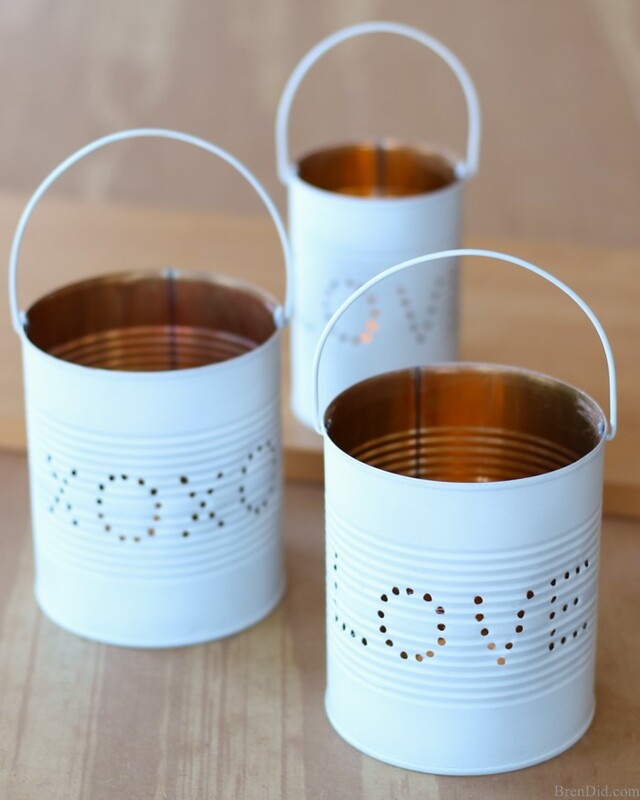 Used coffee cans can be turned into unique indoor light covers. 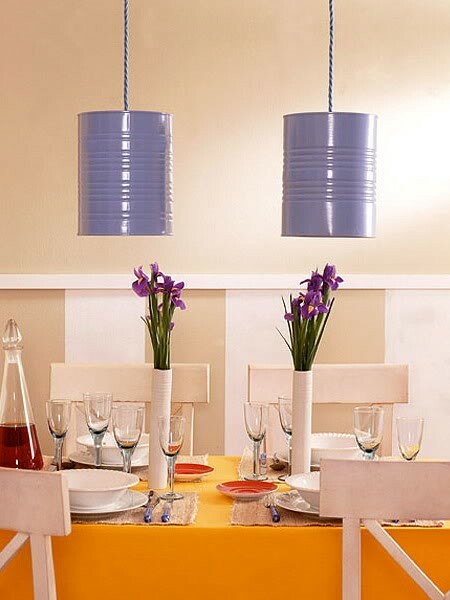 It’ll make for an eye-catching focal point in any room. 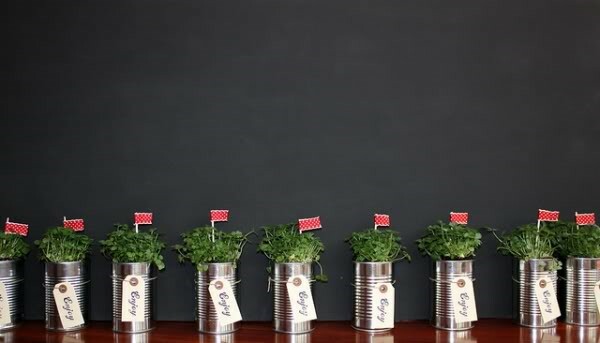 Spare the pumpkins this Halloween by making your own recycle-savvy decorations. 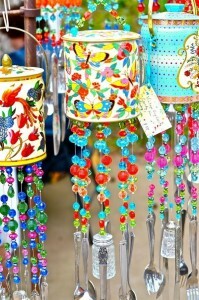 The melodies of these wind chimes will greet you cheerfully when you get home after a long day’s work.